Nursing staff in all healthcare settings will need to complete training to help them effectively protect adults who are at risk of abuse or neglect. The training will outline the standards each individual must meet as defined in a new document published yesterday by the RCN. Staff will undergo a programme determined by their role in the organisation as rated from Level 1 to Level 5. 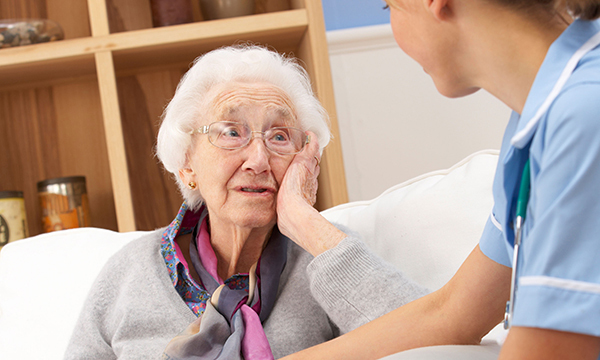 The RCN guidance document, Adult safeguarding: roles and competencies for health care staff, sets out directions aimed at anyone over the age of 18 who is unable to protect themselves due to their need for care or support. RCN professional lead for older people and dementia and lead author of the guidance, Dawne Garrett said: ‘Following a plethora of abuse scandals involving adults at risk, healthcare staff now have a set of competencies they need to meet to help them safeguard people from harm. ‘Until now, there hasn't been an equivalent. The training will teach staff to spot signs of common and emerging forms of abuse. Internet abuse – such as sharing sexual images online without the person’s consent. The guidance will cover staff working in all settings from hospitals to care homes, including those who help people to stay living in their own homes. Level 1 covers all healthcare staff from receptionists and porters to caterers and trust board members. Training will include how to recognise the signs of abuse, as well as what appropriate action to take and how to report and document concerns safely. The majority of registered nurses will be covered by Levels 2 and 3, which will also encompass nursing associates, healthcare assistants and health visitors. As well as the Level 1 basics, staff will have to demonstrate their understanding of how abuse affects people’s lives, the legal and professional responsibilities towards sharing of information, how to assess and communicate with vulnerable adults and act to reduce the risk of abuse. Levels 4 and 5 cover senior doctors, named professionals working in commissioning services and designated heads of safeguarding. The guidance builds even further on previous levels by adding the need to demonstrate awareness of safeguarding legislation and its impact on practice, as well as understanding of national policy guidance, the criminal justice system and have the ability to lead serious case reviews and assess the effectiveness of an organisations safeguarding procedures. Every new recruit, regardless of level, will also receive a mandatory 30-minute session within six weeks of joining an organisation as part of their induction. Each member of staff will require a refresher session every three years to demonstrate their continuing ability to maintain the standards. The RCN was asked by NHS England to lead the work, which includes 30 other professional organisations that are involved in healthcare, including The British Association of Social Workers and Royal College of General Practitioners.